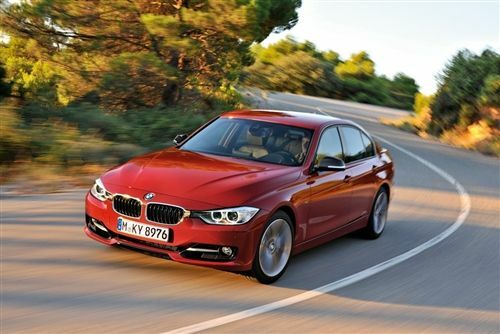 The new 2012 BMW 3 Series has won its fifth most tradition-steeped and renowned automobile prizes in Europe. BMW has won another coveted award for the new 2012 3 Series that has been in showrooms since February. The six-generation BMW 3 Series has won the 2012 “Golden Steering Wheel” award for the fifth time since its first one in 1978. The European award is given each year to the most impressive new models on the automobile market. For over thirty years now, the BMW 3 Series has regularly been listed among the winners of the "Golden Steering Wheel". The BMW 3 Series, currently in its sixth generation, has won the award more frequently than than any other car on the market. A total of 44 candidates are involved in the selection process and includes race drivers, technicians, magazine editors and celebrity testers. The "Golden Steering Wheel" is one of the most tradition-steeped and renowned automobile prizes in Europe and was awarded for the 37th time this year. Norbert Reithofer, Chairman of the Board of Management of BMW AG, after receiving the award said, "I believe the success of the BMW 3 Series lies in the fact that it is the founder of the class of sporty mid-range sedans and perfectly epitomizes the character of BMW with its dynamic performance, efficiency and aesthetic appeal." In Europe where the award was received, the BMW 3 Series offers five gasoline and five diesel engine versions as well as the BMW ActiveHybrid 3. The intelligent all-wheel drive system xDrive is available for four models. The new BMW 3 Series Touring has now also been launched. In the U.S. the 3 Series is offered in three models. The 328i Sedan, 335i Sedan and ActiveHybrid 3 sedan. It also comes as a coupe in 328i Coupe, 335i Coupe and 335is Coupe variants. It’s also offered as a 328i Convertible, 335i Convertible and 335is Convertible for top-down fun. The BMW 3 Series was also named a 2012 IIHS top safety pick here in the U.S. For the 2012 model year, BMW completely redesigned its 3 Series in every way. The new 3 Series is slightly bigger, faster, and more fuel-efficient than last year's models. They get more technologically advanced and offer more features than ever before. BMW also took third place in the "Convertibles and Coupes" category with the BMW 6 Series Gran Coupe. BMW was also awarded the "Golden Advertising Steering Wheel" for the current BMW xDrive marketing campaign. BMW certainly stole the show at this year’s "Golden Steering Wheel" competition. The 3 Series is an icon for the brand and remains to this day the quintessential BMW. The 2012 BMW 3 Series is the most important product line for BMW and the benchmark for its class. The “Golden Steering Wheel” award is well-deserved.